We recently saw a pair of colorfully beaded sandals that caught our attention ( it's on our summer shoe wishlist) and reminded us of the amazing bead work of the women of Maasai Tribe in Africa, which of course brought to mind the collection collaboration with Pikolinos shoes. So naturally we had to highlight one of the must-have footwear styles from the Pikolinos Maasai Project. 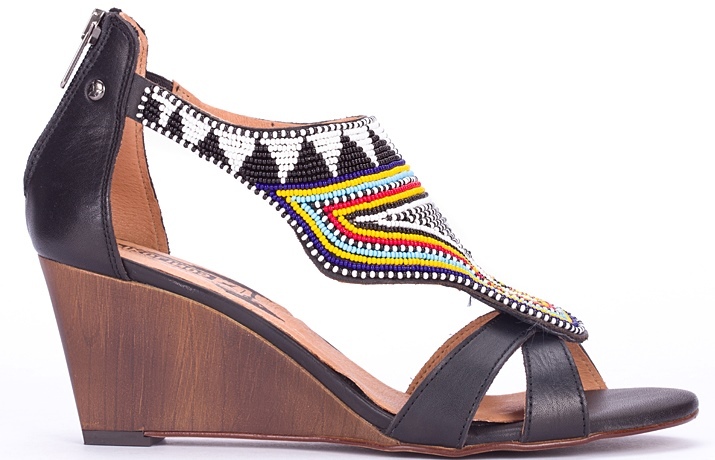 Feast your eyes on the perfect-for-summer, Pikolinos Maasai Collection Turkana Wedge. These striking, handcrafted, calf leather wedges boasts a vamp and upper covered in an eye-catching beaded design, double leather straps across the toes, Maasai hand-stitched detailing, back zipper closure, and a 2 3/4" wedge heel. 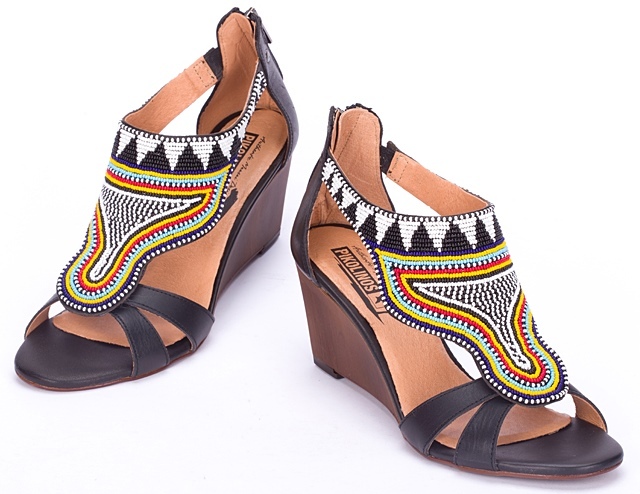 Not only are these wedges beautiful, but purchasing them helps improve the quality of life of the tribe of Maasai women in the African Savannah, The Turkana retails for $230.00 and is available the above black or olmo (dark brown) on www.pikolinos.com.